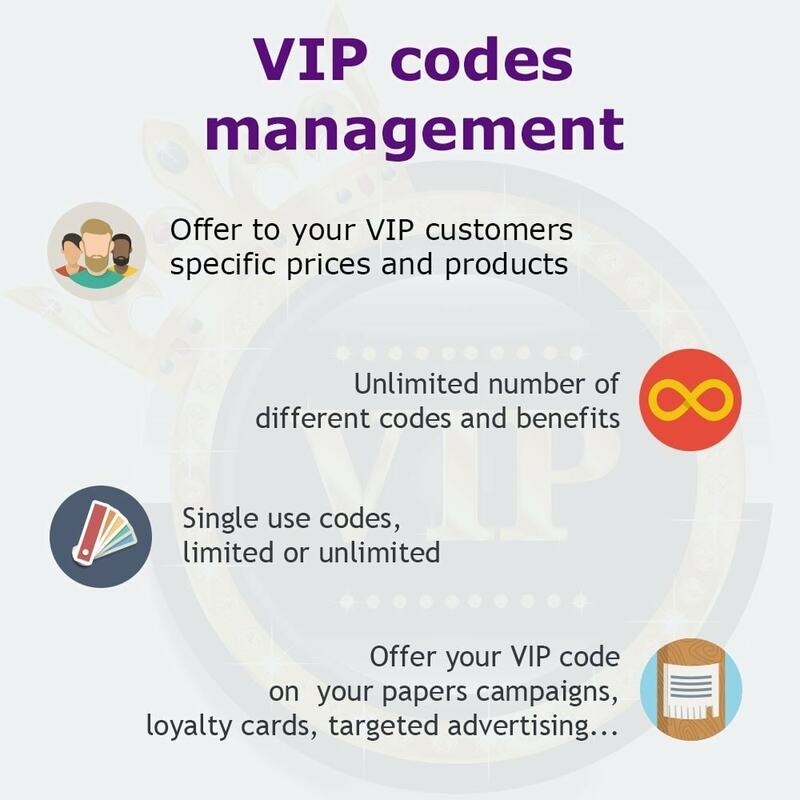 By offering to your customer a membership in a "VIP Club", they feel valued and the benefits (features, products, prices) they receive further incentivize purchases. 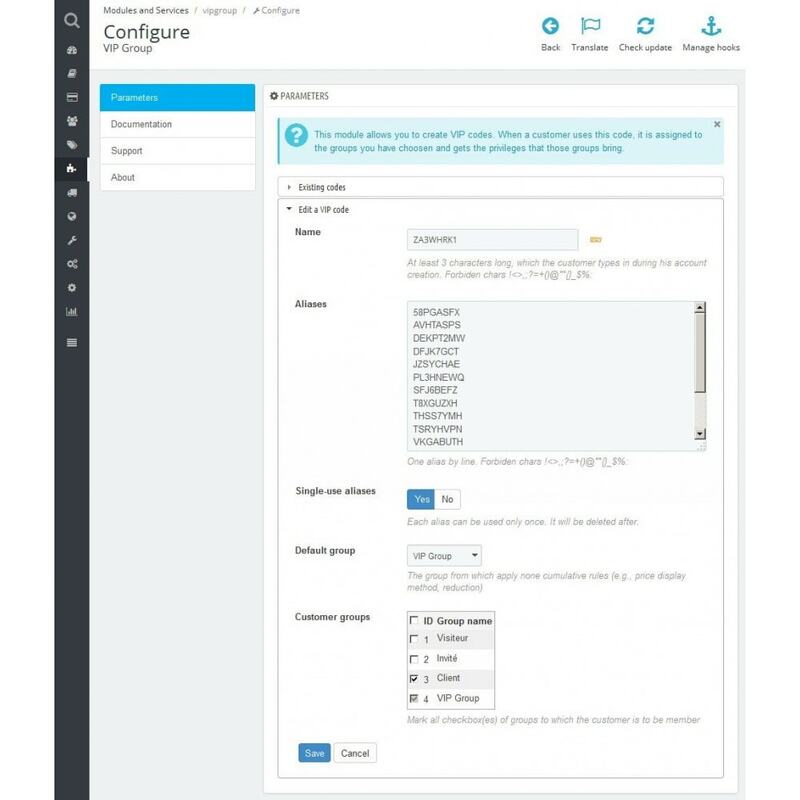 This module allows you to create code that your customers can use to gain advantages in your shop. When a client indicates a valid code, he is assigned to one or more customer groups and thus obtains the benefits thereof. 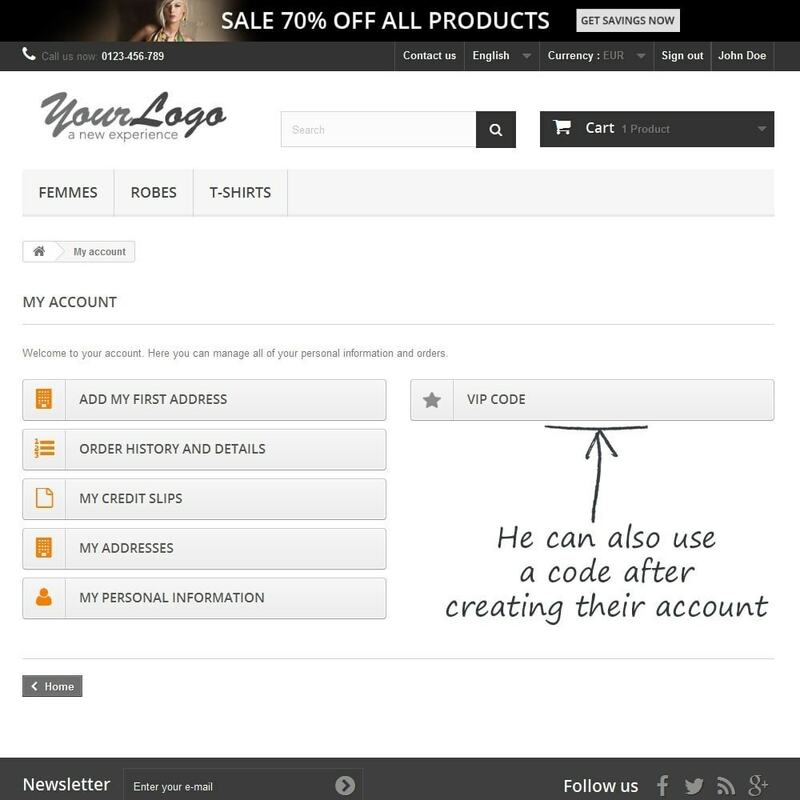 A note is also added to the customer details to save which code he used and when. The number of usable code is not limited and neither are the benefits associated. 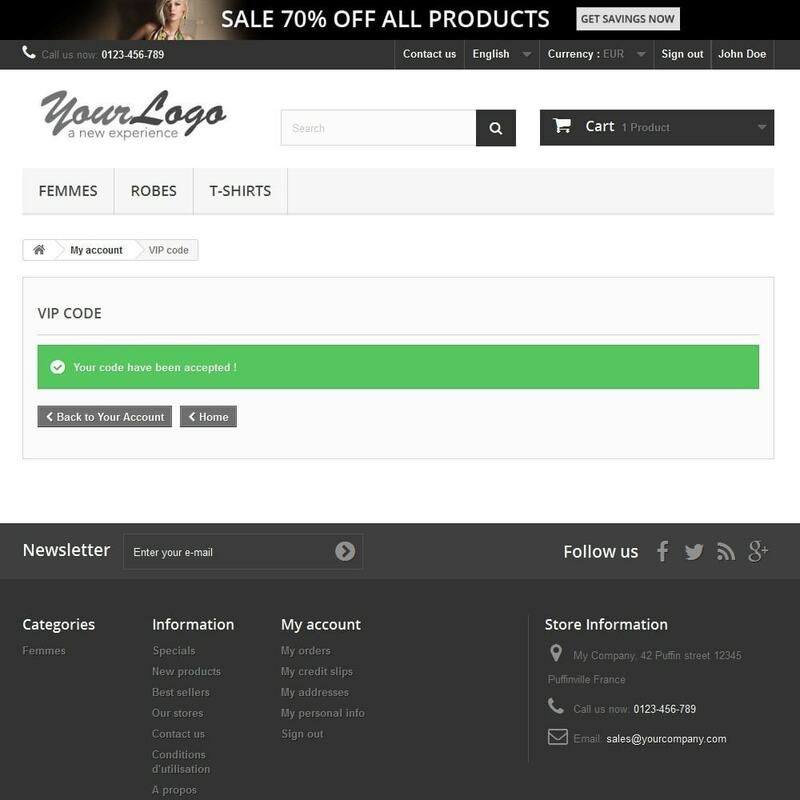 The codes can be usable once, a limited amount of times or unlimited. 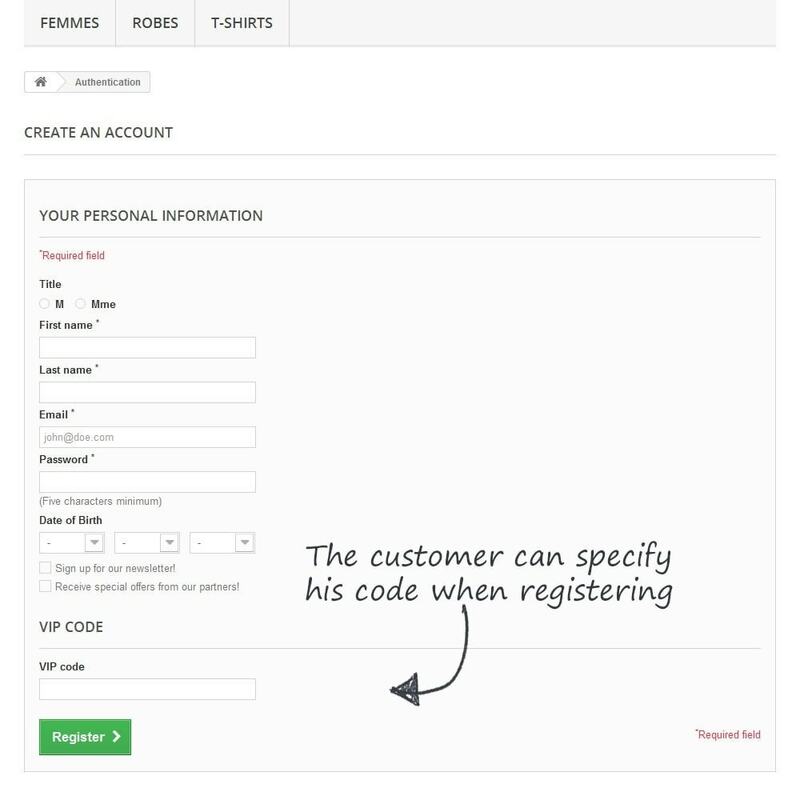 The customer can specify the code during registration or later in their account.